Laser cataract surgery — also called Refractive Laser-Assisted Cataract Surgery (ReLACS) — is an advanced type of cataract surgery that uses femtosecond laser technology to bring a new level of precision and accuracy to specific steps in cataract surgery that traditionally have been performed with hand-held surgical tools. The added precision, accuracy and reproducibility of each of these steps, when performed with a laser, potentially can reduce certain risks and improve visual outcomes of cataract surgery. The first step in cataract surgery is making an incision in the cornea. Optical coherence tomography helps your surgeon plan the location and depth of incisions made during a laser-assisted cataract procedures. OCT scans offer high-resolution and cross-sectional images to make the cataract surgery as precise as possible. In conventional cataract surgery, the surgeon uses a hand-held instrument with a metal or diamond blade to create an incision in the area where the cornea meets the sclera. This incision allows the surgeon to gain access to the interior of the eye to break up and remove the cataract, which is a clouding of the eye's natural lens that is located right behind the pupil. Next, an intraocular lens (IOL) is inserted and implanted, to replace the cloudy natural lens. The corneal incision is made in special way so it will self-seal when surgery is complete, without any need for stitches. In laser cataract surgery, the surgeon creates a precise surgical plan for the corneal incision with a sophisticated 3-D image of the eye called an OCT (optical coherence tomography). The goal is to create an incision with a specific location, depth and length in all planes, and with the OCT image and a femtosecond laser, it can be performed exactly without the variable of surgeon experience. The eye's natural lens is surrounded by a very thin, clear capsule. In cataract surgery, the front portion of the capsule is removed in a step called an anterior capsulotomy. This enable the surgeon to gain direct access to the cloudy lens (cataract). It's very important that the remainder of the lens capsule that remains intact in the eye is not damaged during cataract surgery, because it must hold the artificial lens implant in place for the rest of the patient's life. In laser cataract surgery, the anterior capsulotomy is performed with a femtosecond laser like the type used in LASIK vision correction surgery. Studies have shown that capsulotomies performed with a laser have greater accuracy and reproducibility. After the capsulotomy, the surgeon now has access to the cataract to remove it. In traditional cataract surgery, the ultrasonic device that breaks up the cataract is inserted into the incision. During this phacoemulsification procedure, the ultrasound energy can lead to heat buildup in the incision, which sometimes can burn the incision and negatively affect the visual outcome by actually inducing astigmatism. An incision burn also has a higher chance of leaking and sometimes requires multiple sutures to close. Laser cataract surgery may also reduce the risk of capsule breakage that can cause vision problems after surgery. The lens capsule is as thin as cellophane wrap and it's important that the the portion that is left inside the eye after cataract surgery is undamaged, so it can hold the IOL in the proper position for clear, undistorted vision. Astigmatism usually is caused by the cornea being more curved in one meridian than others. (In other words, it's shaped somewhat like an American football rather than a baseball). To reduce astigmatism, small incisions can be placed in the periphery of the more curved meridian; as the incisions heal, this meridian flattens slightly to give the cornea a rounder, more symmetrical shape. During refractive laser-assisted cataract surgery, the OCT image can be used to plan laser LRI or AK incisions in a very precise location, length and depth. This increases the accuracy of the astigmatism-reducing procedure and the probability of good vision without glasses after cataract surgery. LenSx The LenSx system (Alcon) is approved for corneal incisions, capsulotomies and lens (cataract) fragmentation. LensARThe LensAR Laser System (LensAR, Inc.) is approved for corneal incisions, capsulotomies and lens (cataract) fragmentation. The "AR" stand for "Augmented Reality," which refers to proprietary imaging technology that collects an unprecedented spectrum of biometric data and then reconstructs a sophisticated 3-D model of the anatomy of each patient's eye, according to the company. Victus The Victus Femtosecond Laser Platform (Bausch + Lomb) also is approved for corneal incisions, capsulotomy and lens fragmentation in laser cataract surgery. The Victus system features proprietary Advanced Docking Technology that minimizes the possibility of eye tilt or distortion and enables precise alignment designed to maintain the natural shape of the eye during laser-assisted cataract surgery, according to the company. Femto LDVThe Femto LDV femtosecond laser system (Ziemer Ophthalmic) offers higher repetition rate of the laser beam for faster procedures, low energy per laser pulse for gentler treatments, and overlapping laser spots for high precision and predictability, according to the company. All of these systems for laser cataract surgery have shown excellent outcomes in clinical trials. The laser your surgeon has chosen for his or her practice is a matter of personal preference, based on specific features and other factors. Typically, the skill of your surgeon is more important than the brand of laser used for the laser-assisted steps of your cataract procedure. Cataract surgeons who use lasers say that their advantages are especially evident when it comes to high-tech, premium implants such as presbyopia-correcting multifocal IOLs and accommodating IOLs. Advantages include better lens placement and therefore more accurate visual outcomes. 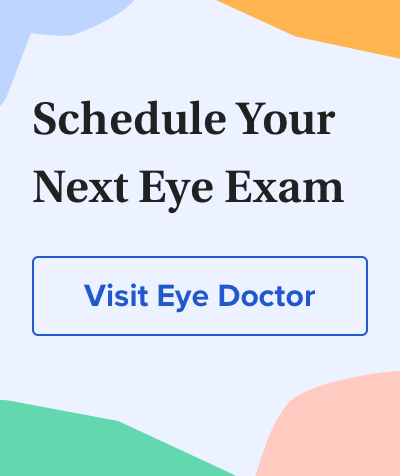 Laser cataract surgery usually costs more than conventional cataract surgery, and the extra costs associated with laser cataract surgery typically are not covered by medical or health insurance. Fees for laser cataract surgery can vary significantly from one cataract surgeon to another. Be sure to ask about details of the cost of laser-assisted cataract surgery during your pre-surgical exam and cataract surgery consultation with your surgeon. It's important to put laser cataract surgery technology into proper perspective. Traditional cataract surgery is very effective and successful. Most people who do not want to pay the extra cost of laser cataract surgery can feel very confident that conventional cataract surgery is likely to produce very good results. But if you want the best possible technology, laser cataract surgery is appealing. A more accurate corneal incision, capsulotomy and astigmatic correction may help you achieve your goal of less dependence on glasses after cataract surgery. To decide if laser cataract surgery is the best choice for you, ask your cataract surgeon for more information about this technology during your preoperative exam and consultation.